An artist’s impression of Eastern Tower at the Waterbay. Bin Faqeeh Real Estate Investment Company, a leading Bahrain-based developer, said it has signed a partnership agreement with Italian luxury fashion house Roberto Cavalli, for exclusively designing the interiors of its Eastern Tower at the Waterbay project in Bahrain Bay. Launched early this year, the Waterbay project, which will be developed in partnership with Paramount Hotels and Resorts, includes the Waterbay Middle, the Eastern Tower Waterbay Residence by Roberto Cavalli and the Western Tower, named Paramount Residences Bahrain, said a statement from the developer. Bin Faqeeh is the first real estate developer in Bahrain to collaborate with an international fashion brand. 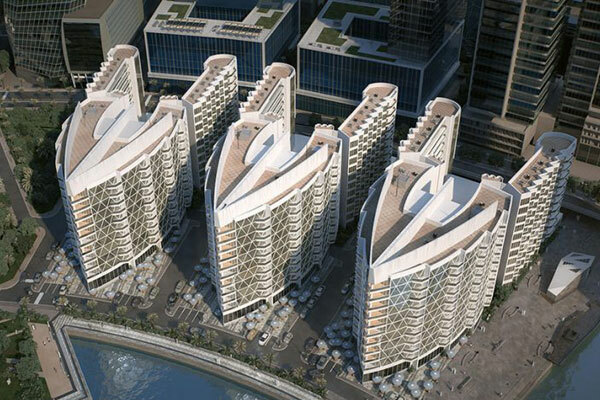 Waterbay Residence by Roberto Cavalli will be the upcoming luxury development located at Bahrain Bay. It will feature signature Italian interiors designed by the global brand, which will create elegant, glamorous and modern spaces enabling the tower’s residents to enjoy a luxurious, hyper comfortable lifestyle, it stated. The new Eastern Tower is set to be completed in the second quarter of 2019 and will be ready for delivery in the fourth quarter, it added. Bin Faqeeh Real Estate Investment Company chairman Faisal Faqeeh said: "We are very proud to announce another key milestone and a first of its kind initiative in Bahrain. The real estate sector in the kingdom will soon witness a new standard of luxury and glamour with the reveal of the Roberto Cavalli international fashion house designed residential project." For the Waterbay real estate development, located in front of the prestigious Four Seasons Hotel Bahrain Bay overlooking The Avenues Mall and the Manama skyline, the Roberto Cavalli Group will create customised interiors where the company’s latest Home collection will contribute to deliver a full, rich experience in the brand’s signature luxurious world. "The Roberto Cavalli Group is further consolidating its leading role in the lifestyle and interior design businesses with an ambitious expansion strategy," said CEO Gian Giacomo Ferraris. "The RC Home plays a pivotal role in the new course of the Group and the agreement with Bin Faqeeh for the Waterbay project, the first that will be delivered to the market, is an exciting and natural step in our evolution within the lifestyle category," he added.